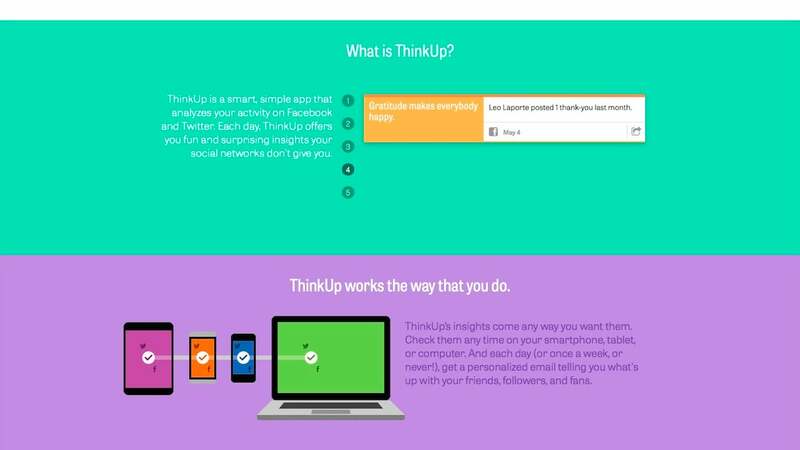 ThinkUp, the tool that archives, analyses and gives you control over your online social life, has come a long way since we last highlighted it. The service now gives you unique and surprising insight into the things you post and the things your friends interact with, and you can try it for free to see if you like it. ThinkUp is a subscription service, and you can see its pricing here and read more in its FAQ section. It has just launched a 14-day free trial that you can take advantage of now if you want to try it out, kick the tyres and see if it's useful for you. Hit the link below to sign up.